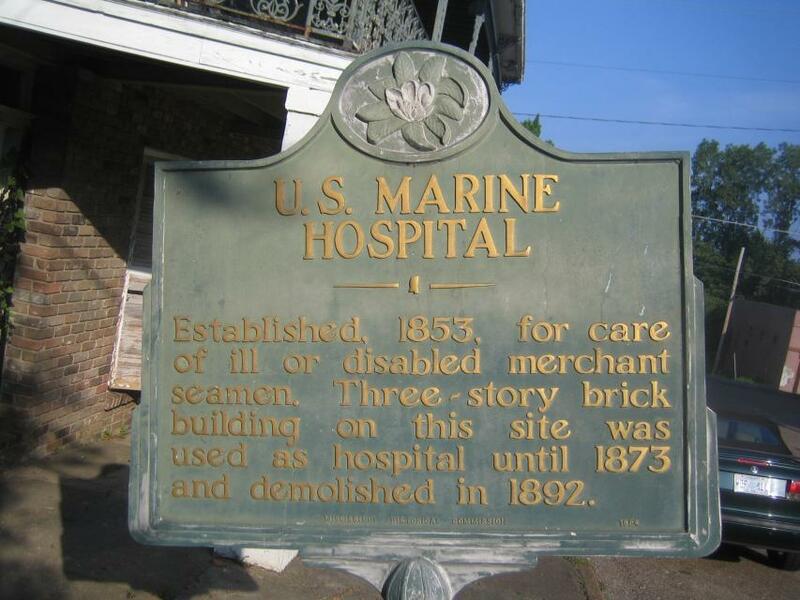 Established, 1853, for care of ill or disabled merchant seamen. Three-story brick building on this site was used as hospital until 1873 and demolished in 1892. This marker can also be identified by its HM code. You can use the hashtag #HM1BM1 in tweets, and any other place where you might refer to this marker, including when searching on this site.